At the age of two, most children are happy playing with model farm sets, stuffed animals or even starting to get to grips with an iPad. 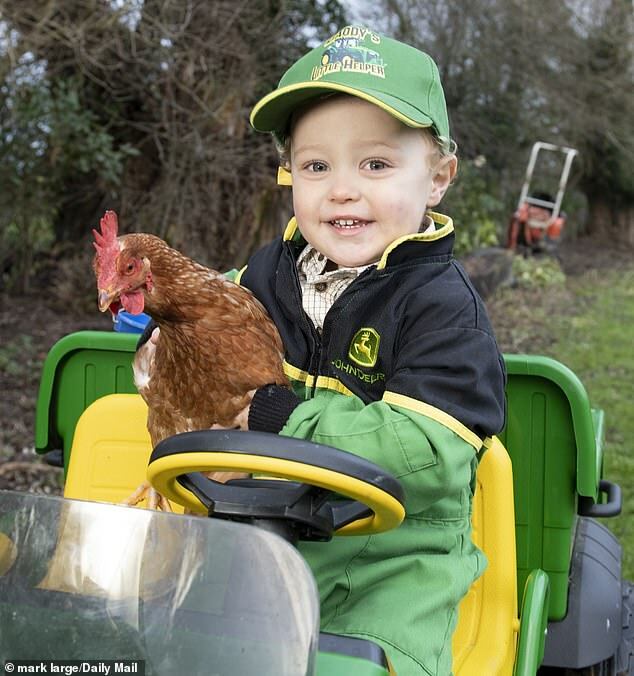 However, for Freddie Bawden, life on the farm is not child’s play but very much a labour of love. 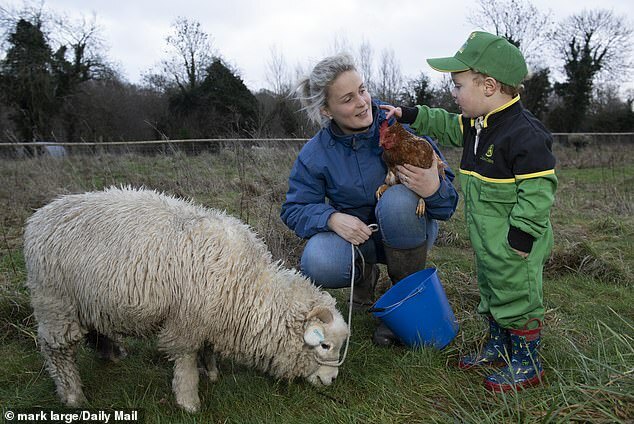 For he likes nothing more than pulling on his overalls and wellies to join his father James and mother Kayleigh as they tend to their animals. 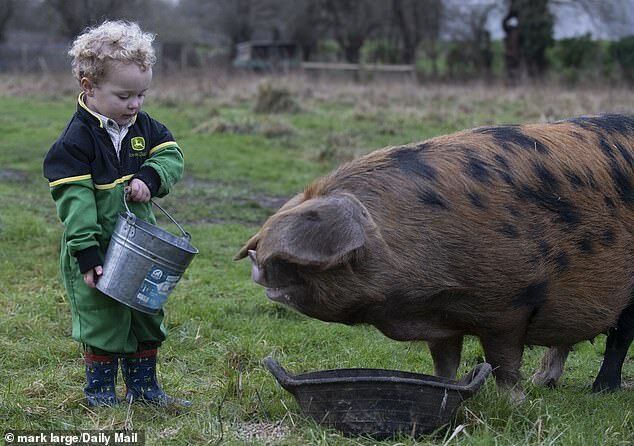 Despite his tender years, Freddie takes his duties very seriously, helping feed the pigs, sheep, cows, chickens and ducks. He also helps make up their feed and gives the animals water before sweeping up and laying down fresh hay. 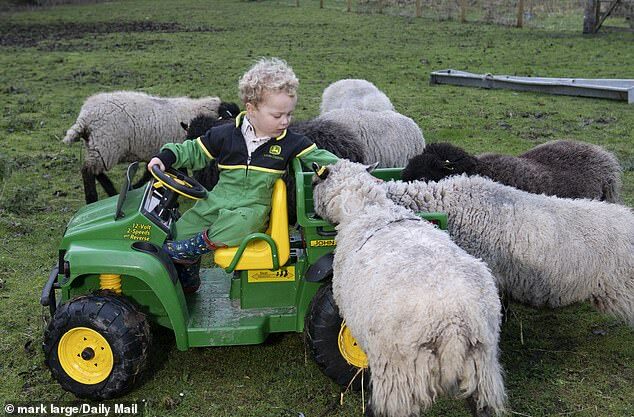 Freddie even has two miniature battery-powered John Deere tractors of his own for carrying hay, straw and feed around the farm in Durrington, Wiltshire. Mr Bawden said: ‘He’s been helping out ever since day one really. He’s really, really helpful actually. My grandad was a farmer and when I was very small, I grew up in that situation with animals. ‘Once we found out Freddie was on the way I wanted him to have the same. We got a few little pigs, we already had some chickens, we got some ducks and some sheep, then some cows. A bit of everything really. 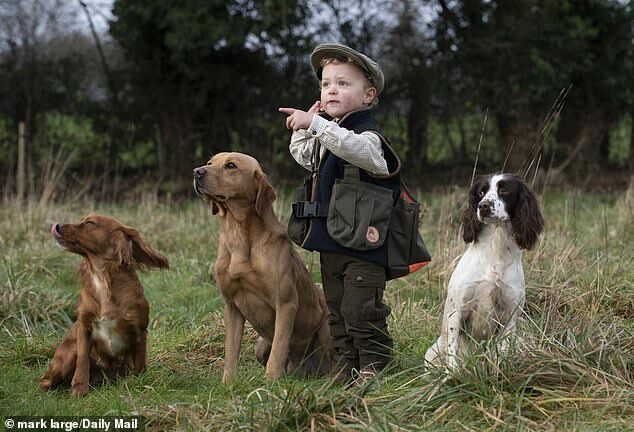 Freddie goes to nursery one-and-a-half days a week but spends the rest of his time helping his parents, who also run a dog training centre on the farm. The youngster helps to walk the dogs, as well as feeding them and sweeping the kennels. He also likes to join in the special training sessions, throwing toys for the dogs to chase. Mr Bawden said some even respond better to Freddie than they do to their adult owners who may ‘overthink’ things. ‘But with a child, they just go for it,’ he added. ‘I think the dogs really like it. Mr Bawden admitted most two-year-olds are more likely to be found watching TV or playing with toys. But he said: ‘It’s harder work to not let him join in. If he wants to come with me he can, if he doesn’t, he doesn’t have to. ‘He’s really healthy, fit and strong. He eats masses and sleeps well because he’s doing so much. When other people see him they can’t believe his age. You see what he’s doing and you assume he’s four years old.